The Senate passed a bill that cuts benefits for low-income Americans and will cost over 56,000 jobs. 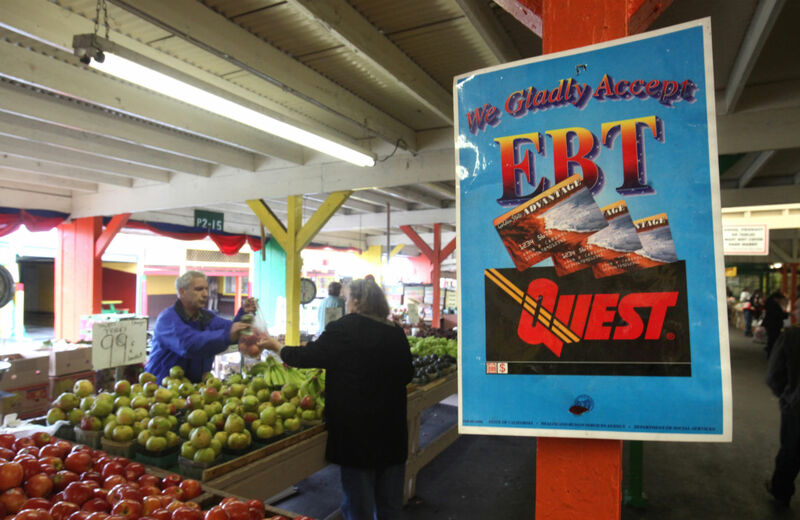 It’s official: Congress will slash food stamp funding in the midst of a deep economic recession, when more people rely on food stamps than ever before. Monday night, the Senate passed a five-year farm bill that contained $4.1 billion in cuts to the Supplemental Nutrition Assistance Program (SNAP) over ten years. This ensures that the only debate now will be about how much to cut—and it’s likely to result in cuts much deeper than $4.1 billion. The House Agriculture Committee passed a farm bill last month that cut $20.5 billion from SNAP by removing “categorical eligibility” (more on that here), which would take food stamps away from 2 million Americans and hundreds of thousands of children. The House bill, once passed, will head to conference committee, and the negotiators will have to reach a consensus number. Without question, it won’t be lower than $4.1 billion. Why did Democrats in the Senate head down this road? Some attempted not to—Senator Kirsten Gillibrand introduced a bill last month that blocked any food stamp cuts, but only twenty-five of her colleagues, and zero Republicans, voted for it. It failed 70-26. Fifteen states and the District of Columbia have opted to provide SNAP households with a nominal [Low Income Heating Assistance Program] payment, so that instead of having to provide burdensome monthly documentation of their shelter and heating/utility bills, they can deduct a standard allowance from their income, thereby increasing the amount of SNAP benefits they qualify for. This “Heat and Eat” approach disproportionately helps seniors and those with disabilities, who pay a high proportion of their income on shelter costs. Without this coordinated approach, such households may lose $50—$75 a month in SNAP benefits. The only hope now to at least moderate the cuts is a band of House Democrats who have pledged to fight the food stamp cuts ferociously, as we reported last month. AT&T’s deregulation campaign will hurt low-income Americans, people of color and rural communities. Read Leticia Miranda’s report here.